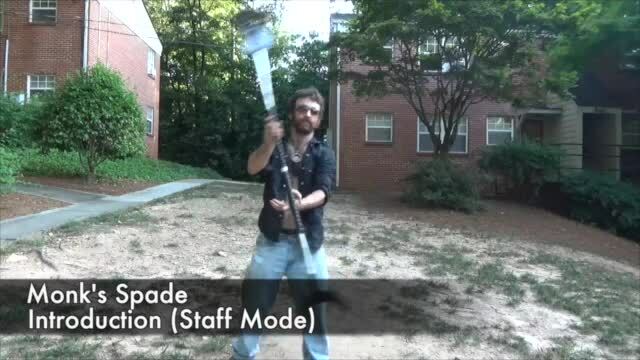 Not only can you use this prop as a Dragon Staff, you can use it as a regular and Contact Staff as well. The main purpose of this section is to point out other ways of using a Dragon Staff. Now, I know what you're thinking. "But these aren't DRAGON MOVES!" And you're right. To perform these moves using a Dragon would be to use it like a Contact Staff. The thing you're not thinking about is the fact that a staff generally only has one point of fire at the ends of the staff, not 3 - 7 per, in various arrangements. It's a stylistic thing. Don't let anyone tell you you're not "allowed" to do something or that it's "against the rules". If you wanted it to be rolling at the moment, it would be. and we will pay Demetriusx more for their lessons. Using the keywords [staff mode intro qr] we found the following similar topics.